In 2019, who is without a smartphone? You’d be hard pressed to find any individual who doesn’t own and operate a mobile device of some kind. With that said, it’s important to note just how important smartphones are for your business. As a business owner, it’s imperative that you use a smartphone. Needless to say, being accessible plays a major role in being able to meet the needs of your company’s customers, suppliers and employees. However, it’s important to mention that there are a number of uses for the smartphone that can greatly improve your company’s bottom line. If you’re looking for ways to grow your sales (and which business owner isn’t? ), consider the following ways in which your smartphone can help you. It enables you to take your business on the road with you. There once was a time when business owners had to be confined to the four walls that made up their offices in order to do their jobs. Conducting business in 2019, however, looks a lot different. Especially with the assistance of VoIP technology, entrepreneurs can now make and take phone calls in remote locations no differently than if they were in their offices. Clearly, smartphones make you a lot easier to get in touch with. You can conduct business through text messages. There are few modes of communication that are more popular than text messaging these days. Similar to emails, texts allow people to send each other quick pieces of information that help to quickly resolve issues, answer questions and fulfil orders. And, as Morgan Mandriota points out on TextRequest.com, many business utilize text messaging as a source of advertising. It can allow you to accept payments directly. Your smartphone has the ability to be a money-making machine! No longer do you have to wait for a customer to enter your store in order to make a purchase. You can take your business on the road and accept those payments by turning your smartphone into a POS terminal! With VirtualMerchant Mobile, you can accept payments without boundaries. It’s a secure, complete payment solution that transforms mobile devices into terminals, allowing you to accept payments quickly and securely anywhere, any time without a major investment of money or effort. At Canadian POS, we proudly offer this secure mobile solution as a natural extension of our full service offerings. 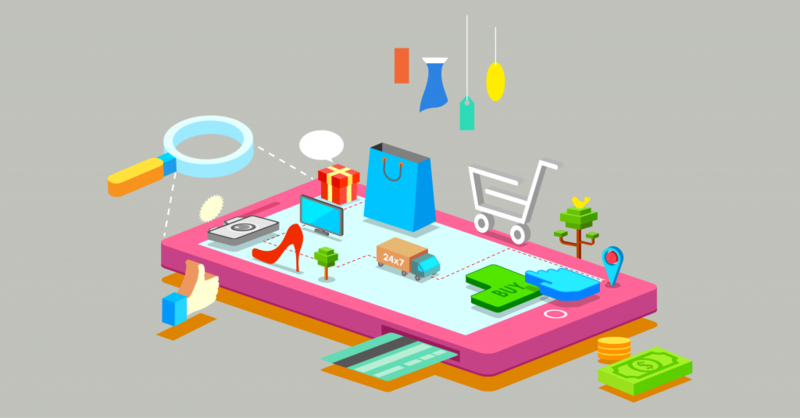 VirtualMerchant Mobile is an innovative offering for businesses of any size that want more than just a mobile payment solution from their payment providers. For more information, please don’t hesitate to call us at 1-877-748-2884 or email us at info@cdnpos.com.